Today, one of the greatest threats to our health and safety is mercury pollution caused by wastewater and industry. 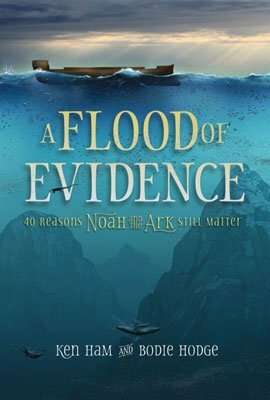 Wouldn’t the destructive forces of Noah’s Flood have released so much mercury into the environment that it would poison everything and make life impossible? Today we are hearing more and more about mercury pollution. Mercury could contaminate the water we drink, the air we breathe, or, most commonly, the fish we eat. In the last six decades alone it has proven to be directly responsible for thousands of deaths worldwide and has caused untold illness. Mercury’s danger has led some skeptics to argue that the global Flood described in Genesis would have released so much mercury into the environment that life would be impossible. So how should Christians view this increasingly important issue? First, we should learn the facts. Mercury has two properties that make it potentially dangerous. It is a liquid at room temperature, so it readily converts into a vapor, making it easily transported in the air. Furthermore, it forms very strong chemical bonds with sulfur, which is found throughout our bodies in proteins and other vital molecules. Mercury poisons people by bonding to these sulfurs in our bodies. Very small concentrations of mercury can be toxic. The symptoms of mercury poisoning include memory loss, mental instability, tremors, stomach pains, and eventually death. Mercury occurs naturally in some rocks. 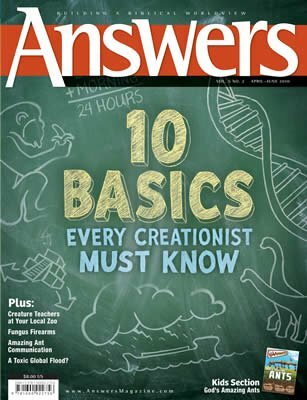 This fact raises an interesting question for creationists. How can this toxic element belong in God’s good creation? The truth is that mercury is a remarkable element with many uses. The modern field of chemistry was in part born from alchemists working with mercury. Throughout history mercury has been important in industry to produce everything from chlorine gas to pesticides and tooth fillings. Today it has uses as diverse as thermometers and fluorescent lights. God created mercury for man’s benefit and designed natural processes to regulate its concentration and form in the environment. To understand these processes, let’s look at how mercury levels remained relatively safe even in the greatest disaster in history, the Genesis Flood. A global flood would release mercury in two ways. First, it would pulverize much of the rock covering the earth, potentially freeing the mercury stored there. Furthermore, most creationists believe there was significant volcanic activity (both on land and under the sea) during the Flood; and volcanoes release a great deal of mercury. The destructive forces of Noah’s Flood released a vast amount of mercury into the environment, by both a) volcanic eruptions and b) the destruction of the mercury-containing rocks. What Kept This Mercury From Poisoning the World’s Seas and Making Life Impossible? While the release of mercury was immense, the Flood created ideal conditions for removing it from the environment. 1) Most of the mercury was in rock that was buried before the mercury dissolved. 2) The seas were filled with dead plants and sulfur, which absorbed most of the mercury quickly and then settled at the bottom. 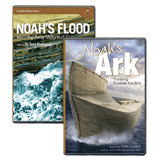 The Flood was a unique event in every way, not just its destruction but its conditions for renewal. Some mercury would still have dissolved into the ocean. But by God’s design, it takes a long time for mercury to enter the food chain. By the time it could have poisoned the fish and been eaten by humans, the danger would have been over. Would the release of so much mercury poison the world, rendering it unlivable for Noah and the others on the Ark? The answer lies in the chemistry of mercury. To poison life, mercury would have to dissolve in the Flood waters. A solid chunk of mercury-rich rock, carried along by the swift Flood currents, might cause harm if it slammed into your head, but it wouldn’t poison you. The vast majority of the mercury in the geologic column is found as mercury sulfide, which does not dissolve easily. Even heating a crushed sample of mercury sulfide in hydrochloric acid will dissolve only a small percentage of the mercury (less than 10%). So most of the mercury in the Flood waters remained trapped in rock, settled to the bottom, and was incorporated into new rock without ever dissolving and posing a pollution hazard. Yet the water must have dissolved a small percentage of the mercury. Was that a significant threat? No, because by God’s design, not all mercury is created equal. In the environment, mercury normally occurs in one of three forms: neutral mercury vapor, mercury atoms with a 2+ charge (generally dissolved in water), and mercury atoms with carbon atoms attached. The third form, called organomercury, is far more toxic than the other two forms because organisms are much more likely to retain it in their bodies. In most places, only a small percentage of the total mercury (less than 20%) is the most hazardous kind. Generally, mercury is released as neutral mercury atoms into the atmosphere, whether by a volcano or by manmade sources like coal-burning power plants. The mercury is then converted to mercury 2+ and falls down to earth in rain. Alternately, some industries release water contaminated by mercury 2+ directly into the environment. Either way, mercury 2+ eventually ends up in a body of water. Most of it will either bond to sulfur atoms to form mercury sulfide or become attached to rotting plant material and likely sink to the bottom, where it will be buried without causing major trouble. Bacteria converts some of the mercury, however, into organomercury, and tiny organisms consume the bacteria. As larger organisms consume the contaminated creatures, the organomercury becomes more concentrated inside their bodies. Fish, in turn, eat these creatures. As you go up the food chain, the concentration of organomercury increases. At the top of the food chain, humans eat these organomercury-containing fish and are poisoned. That food is the primary way that mercury can pose a threat. The more we study the issue, the less of a threat mercury appears to have been during the Flood. Only a very small amount of the mercury in the rocks was dissolved, and only a small percentage was converted into organomercury. The more we study the issue, the less of a threat mercury appears to have been during the Flood. Only a very small amount of the mercury in the rocks was dissolved, and only a small percentage of that was converted to organomercury. Furthermore, the process discussed above is not quick. The mercury doesn’t just enter the water, and suddenly everything dies. Rather, it slowly works its way up through the food chain to poison the organisms at the top. In principle, the same is true today. Mercury has a natural geologic cycle and can travel through the environment in small concentrations without poisoning anything. Only when humans are irresponsible does mercury become a threat. Mercury pollution has three main causes: mercury-contaminated wastewater is dumped directly into the environment, acidic water flows through mercury-containing waste from abandoned mines, or, more commonly, industries release mercury into the atmosphere by evaporation or the burning of coal and other mercury-containing materials. The mercury increases until natural processes are no longer able to remove enough of it as God designed. When this occurs, good stewardship requires we intervene. God, in His providence, created mercury for our good and provided natural processes to regulate its balance. We, as believers, should thank God for this gift and be good stewards of what He has provided. Recent years have seen a major push to replace incandescent bulbs with compact fluorescent (CF) light bulbs. There are several good reasons for this change: CF bulbs are cooler, last longer, and are far more energy efficient. Since coal-fired power plants are the major source of mercury pollution in the United States, more energy-efficient lighting at first glance would seem to reduce that danger. However, there is a threat here as well. CF bulbs contain trace amounts of mercury, which is an essential ingredient in producing their light. The electricity flowing through a fluorescent bulb excites the mercury atoms to a high-energy state. The mercury releases this excess energy as ultraviolet radiation, which causes a phosphorescent coating on the bulb to glow and produce light. So every fluorescent bulb is a potential source of mercury pollution. Does this mean the EPA will condemn your house if you break a CF bulb in it? Not at all. The amount of mercury in these lights is tiny, much less than contained in standard mercury thermometers. If you break one, you should open a window to ventilate the area and clear out any mercury in the air, and carefully clean up the broken glass. Most individuals will be exposed to more mercury from a normal tooth filling than from a CF bulb. The danger is that, as more and more people use these as their primary source of lighting, CF bulbs by the millions could begin finding their way into the trash. They would then be dumped into landfills and broken, releasing their mercury. That could become a significant source of mercury pollution and perhaps even undo the good created by the reduced coal use. The solution to this problem is good stewardship. Fluorescent light bulbs should never be thrown in the trash. Instead, when they quit working, they should be taken to a proper disposal center (most counties have such a location and some home-improvement stores will also accept waste CF bulbs). Responsible stewards of God’s creation should properly dispose of these bulbs or stick with incandescent bulbs until proper disposal options are available. 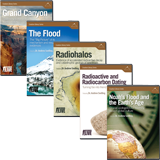 For more information on mercury and the Flood, please see “Mercury Toxicity and the Genesis Flood” in Rock Solid Answers, eds. Oard and Reed (Green Forest, Arkansas: Master Books, 2009).